The tale is about a larger-than-life tribal leader, played by the inimitable Raymond Burr, who decides to lead a tribal uprising against the colonalists who dare to occupy his land. The lovely Yvonne De Carlo who bags a spy-type leading role, one which requires her to creep around while looking beautiful, she certainly does that well. 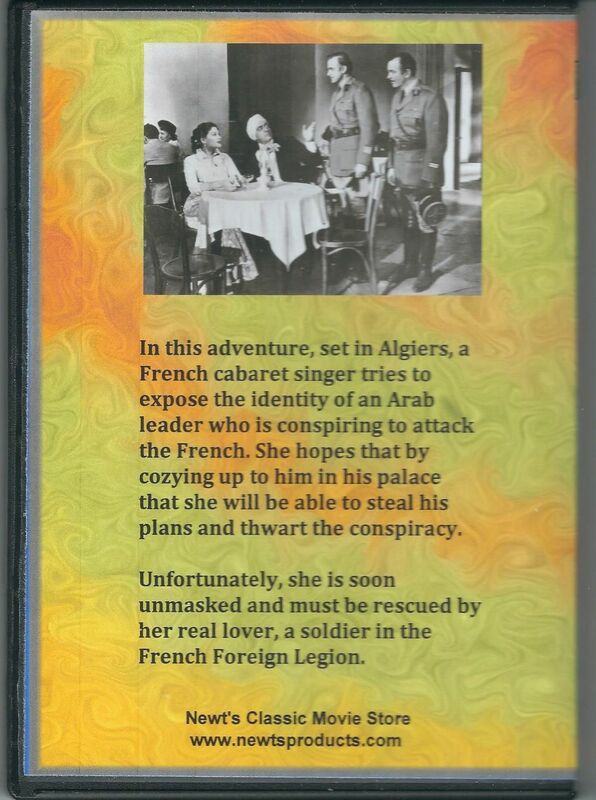 It is also a bit of a spy thriller with the beautiful Yvonne De Carlo caught in the middle between Burr and her old lover (Carlos Thompson) whom she believed to be dead. 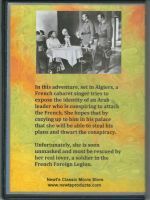 There's also a rivalry set up between Thompson and Leif Erickson as the Foreign Legion sergeant who demands "gifts" from his recruits for his "friendship". While the pacing of the film is never slow and the song that De Carlo sings (which she also wrote) isn't bad. 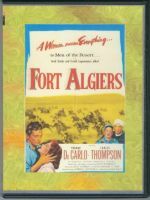 FORT ALGIERS was really a vehicle for Yvonne De Carlo, who specialized in such exotic fare around this time; here, she's a French agent who had forsaken lover Thompson for 'the cause' – but meets up with him again when she's sent to spy on evil Arab potentate Raymond Burr. Click Here to download a video clip of this movie to view the quality of the video before you purchase. Please be patient for this to download as download speeds differ according to internet carriers.